Tired of making expense reports in Excel? Try Xpenditure, and see for yourself how expense reporting can be done without any hassle. Businesses across the world are using Xpenditure for expense reporting, saving them lots of time, and money! "Xpenditure is a very helpful, user friendly expense reporting tool that makes it very easy to keep track of your expenses. I can recommend it to everyone that wants an easy way to generate expense reports"
"Fantastic Job A lot of leading app in this segment are not even close to what xpenditure is doing. Well done"
"Great expenses management Take a picture of any receipt with a smart phone and your sure they will not get lost anymore. Saves me a ton of money. My bookkeeper is finally off my back." Xpenditure is popular among business travelers, consultants, salespeople, and is used by companies of all sizes. Thousands of users rely on Xpenditure to generate their expense reports. With the Xpenditure mobile app, all you have to do now is take a photo of your receipts and VAT stubs. The receipt scanner will read out the relevant information, such as the name of the merchant, transaction date, purchase amount, currency used, etc. This information is then stored automatically in your account, and an expense is created. Generating expense reports and keeping track of your spending has never been easier. Acces your expenses in the powerful web app. Use the smart filters to generate expense reports per category, project, payment method, etc. 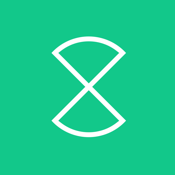 -Expense creation: Xpenditure automatically creates expenses when scanning receipts. Add meta information such as project, category, payment method,etc. -Accounting integrations: integrates with popular accounting software such as QuickBooks, FreeAgent, FreshBooks, Sage, Xero, Debitoor, E-conomic,etc. Xpenditure is a cloud based expense reporting app that will help you, your employees and accountant or CFO by making expense reports easy. The receipt scanner app is a genuine revolution in expenses. It saves huge amounts of time and is incredibly easy to use. Developed for companies, self-employed workers and the free professions that need an easy expense reporting tool. During GPS tracking, the app can even track your location in the background. Continued use of GPS running in the background can dramatically decrease battery life.